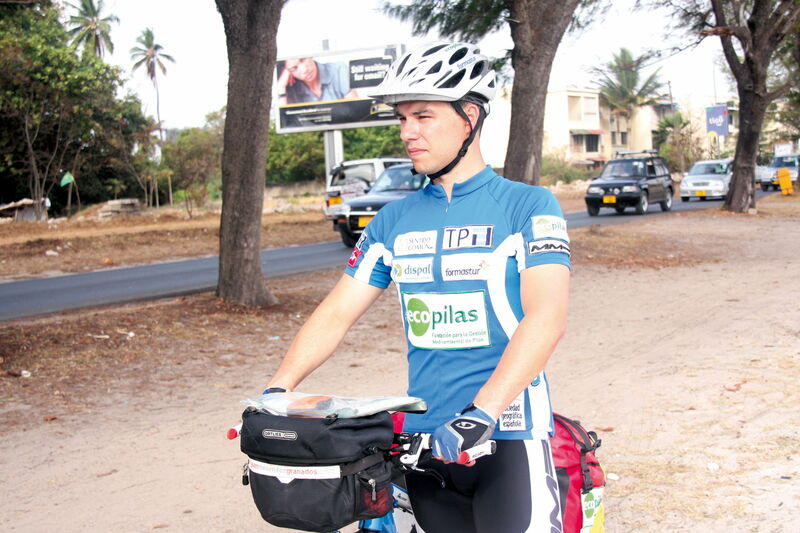 The Spanish athlete Juan Menéndez Granados and a team of ‘Conexión Asturias’, Television of the Principality of Asturias, TPA, undertake the expedition to Kilimanjaro. The spanish athlete Juan Menéndez Granados start, tomorrow morning, February 24, his expedition to crown the summit of Kilimanjaro, 5,895 meters high, a feat that nobody has repeated since the 80's, and accompanied for the first time with a television team. The expedition begins with a first ascent on foot from Marangu Gate (1840 meters) to the summit, Uhuru Peak (5,895 meters) and fall back to Marangu Gate, as a process of acclimatization, which will probably last 6 days. After a rest day, on March 3 Granados begin the climb to the top cycling, while the film crew will walk. It is envisaged that the completion of the summit is taking place on 6 March. The technical material that will record and maintain daily contact with the program "Connecting Asturias'consists of a satellite phone, solar chargers to ensure the autonomy of the equipment, HD cameras and HD cameras feature two special extreme sports.